Almost 35% of the world’s tuna catch comes from the PNA region. Our MSC-eligible skipjack and yellowfin catch represents over 15% of the world tuna catch. 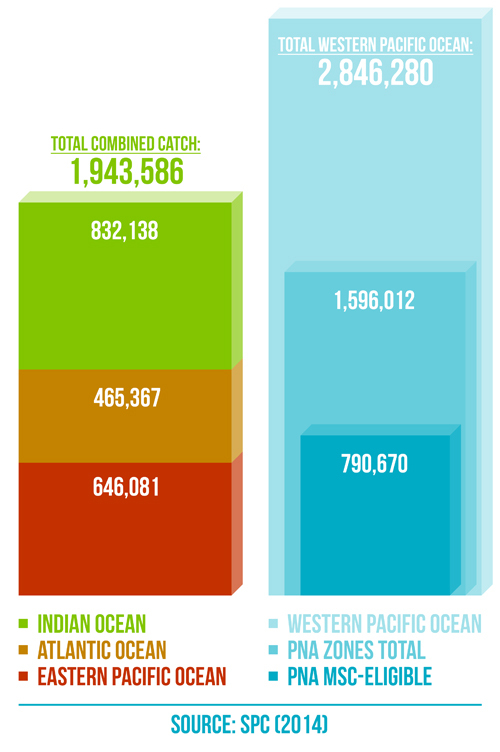 The total catch in PNA waters represents over 55% of the total Western Pacific Ocean tuna landings. PNA MSC-eligible catch surpassed the total recorded catch in the Eastern Pacific Ocean by over 20%.